November 11th isn’t the only opportunity to honor veterans this month. 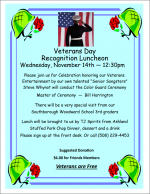 Here are the upcoming events in honor of Veteran’s Day in and connected to Southborough. Would a few Veterans be interested in coming to our Friday Farewell Presentation in uniform and share your thoughts of Veterans’s Day for 10 minutes? . .. . 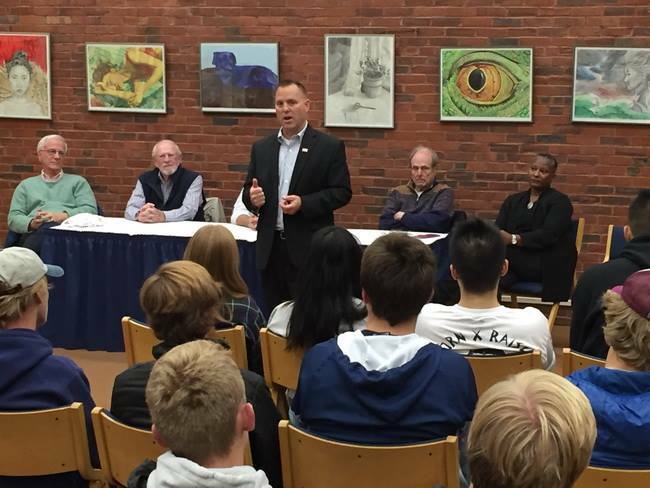 If you are interested in participating, call (508) 229-4453 or email pleonard@southboroughma.com. Assabet Valley Regional Techical with its Junior ROTC program always holds a special assembly. That’s at 8:30 am this year. This year, the Town’s annual observances will be combined with the unveiling of 83 new names on the All Wars Memorial. Click here for a reminder on the 10:45 am parade and 11:00 am ceremony. 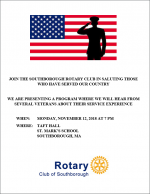 Join the Southborough Rotary Club in saluting those who have served our country. 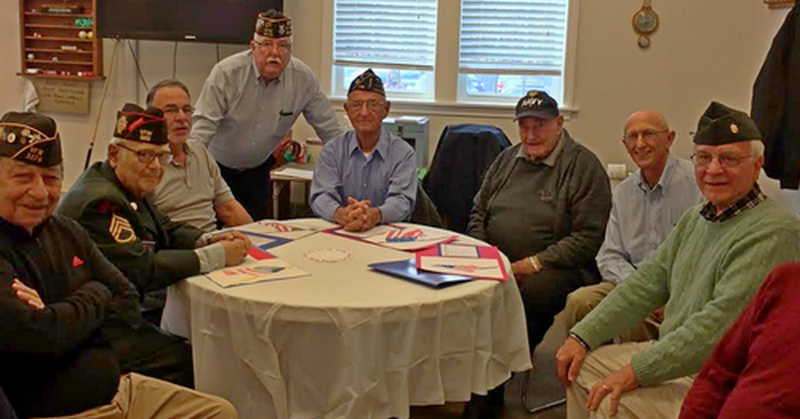 Hear from several veterans about their service experience . 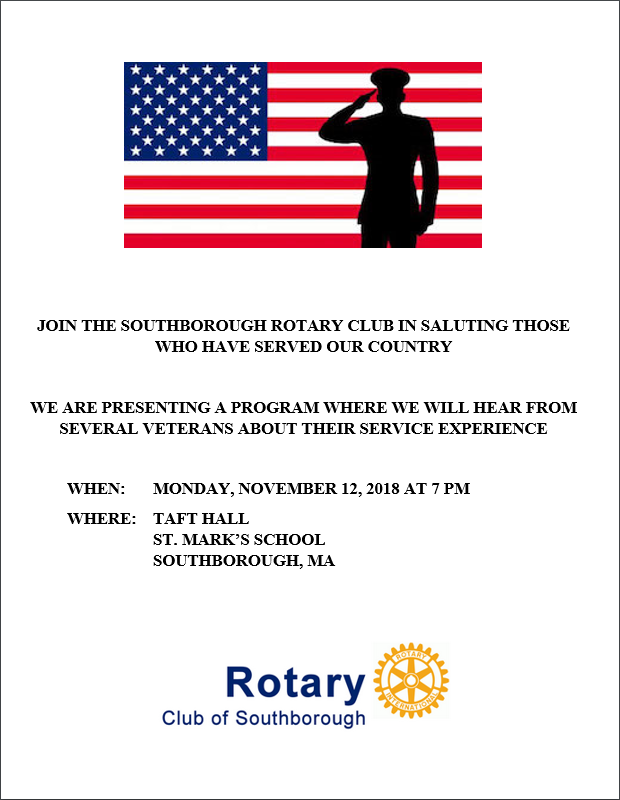 Our very talented Southborough Songsters will perform a wonderful patriotic musical to honor our Veterans. 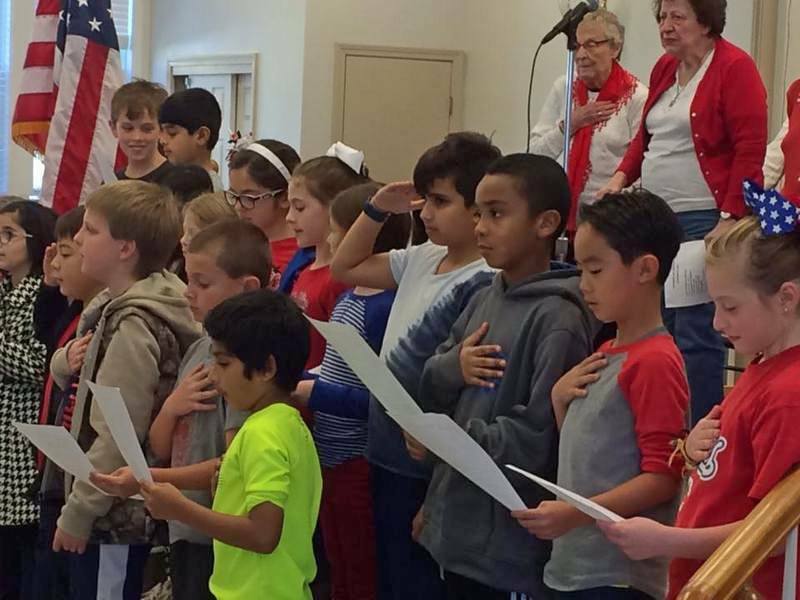 A special appearance by our Woodward School 3rd Graders singing a few patriotic songs will add to this wonderful event. Steve Whynot, one of our local honored Veterans will lead the Color Guard Flag Ceremony. 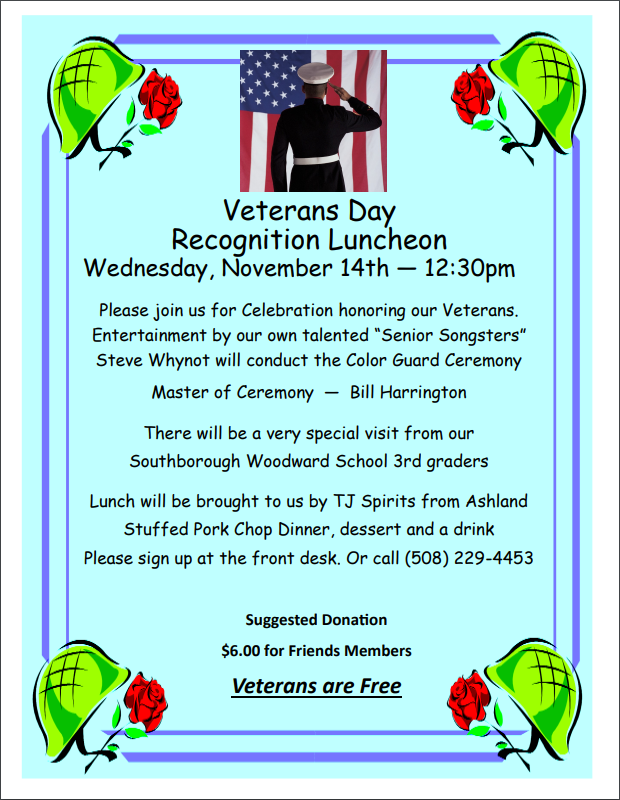 We hope you are able to attend and honor all Veterans. Lunch will be brought to us by TJ Spirits in Ashand. We will enjoy a Stuffed Pork Chop Dinner, dessert and a drink. Sign up at the front desk or call (508) 229-4453. *I edited the Senior Center photos which were initially too dark.